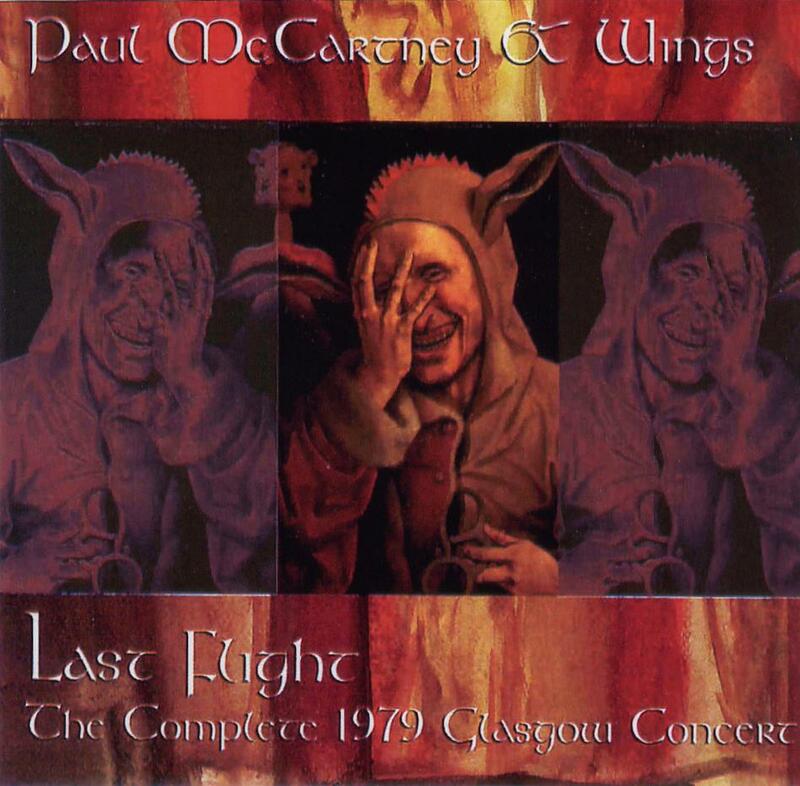 Comments: Last Flight is a 2CD set of the complete performance the final incarnation of Wings played at the Apollo Theatre in Glasgow, Scotland om December 17, 1979. 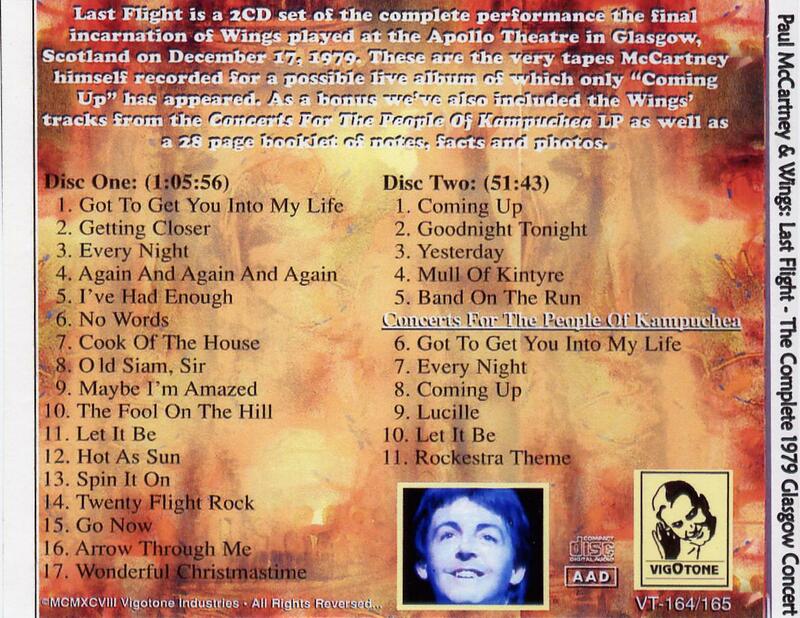 These are the very tapes McCartney himself recorded for a possible live album of which only "Coming Up" has appeared. (*) Bonus tracks on Disc 2 are from the Concerts for the People of Kampuchea LP.